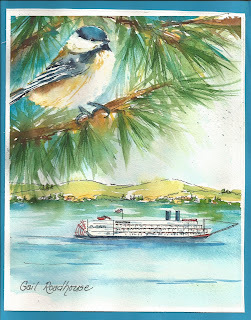 Art-a-Day: "Birds Eye View of Columbia River "
Getting my inventory up for the The American Empress steam boat to return in the spring. Passengers buy little flat items to squeeze into their suitcases. Wow, I feel like I just had a wee bit of a warm, summer vacation! Thank you very much Bobi.